Analysis of the upcoming season where big changes are afoot. Although it has not cropped up extensively in the media, braking (in particular brake bias and control) will be an important design consideration for 2014. This is down to the introduction of the new power units, which – due to the additional recovery power of the MGU-K – makes the bias difficult to adjust and control. In this section of this post I am going to break (pardon the pun) down the key characteristics of the current (2009-2013) braking system and how each component affects each other. 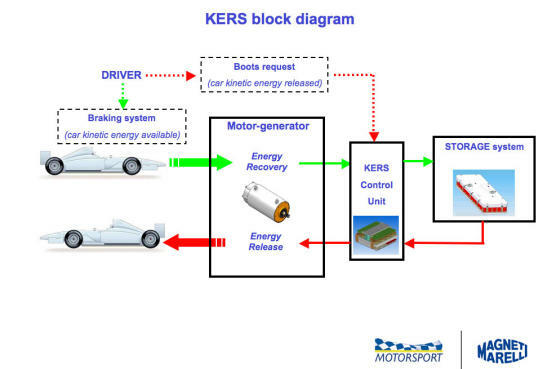 Since 2009 (excluding 2010), Formula 1 has utilised the Kinetic Energy Recovery System (KERS) that increases the efficiency of the braking system, transferring the previously lost energy to a battery. 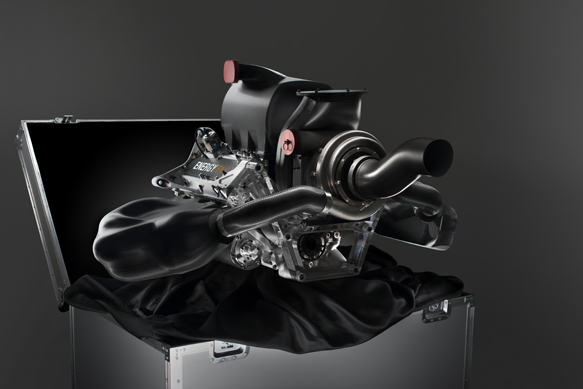 This energy can then be used to provide an additional boost of power at the driver’s disposal for 6.67 seconds per lap. The KERS harvests 60kW of power, which equates to about 80bhp – about the same power as a small family hatchback car. It does this via a Motor Generator Unit (MGU). As the driver brakes, the engine drives the generator of the MGU which acts as a resistive force to the driveshaft connected to the wheels. The MGU transfers the energy recovered from the generator to the battery. When the driver pushes the KERS button the energy is sent back to the motor of the MGU, adding power to the engine. This entry was posted in 2014 Rule Changes, Analysis and tagged 2014 Rule Changes, braking, ERS, f1, KERS, technical regulations on December 28, 2013 by thewptformula. Although I have started my in depth posts on 2014, some viewers have suggested that I do a quick, bitesize summary post. This will be a short overview of the changes in the technical regulations for next season, informing you of all the facts and figures that you will want/need to know before the season commences in Australia, four months away. 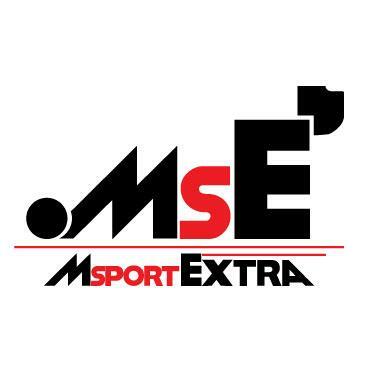 This entry was posted in 2014 Rule Changes, Analysis and tagged 1.6 litre, 2014 Rule Changes, ERS, exhaust, f1, front wing, technical regulations, turbo, V6 on November 30, 2013 by thewptformula. 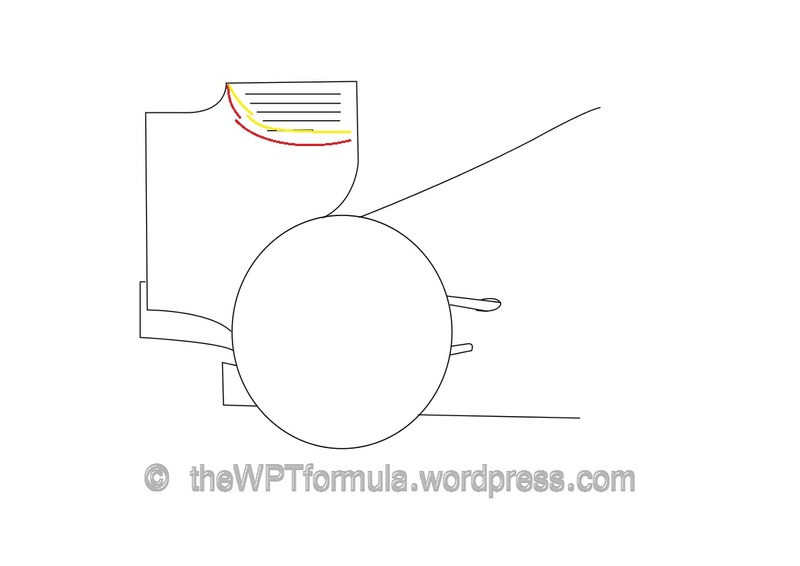 In my second part of my analysis of the 2014 formula, I shall be looking at the changes that are being made to the rear wing. Other than the rear wing itself there have also been some key modifications to the regulations to try to remove downforce from the cars, such as the reduction of the beam wing. From next year, the technical regulations state that the rear wing profile must be slightly shallower. The mainplane of the wing must now lie 750mm above the reference plane when previously it was 730mm. This follows in accordance with the FIA wanting to reduce drag and downforce from the cars, which will in turn create a slight improvement in fuel efficiency. The 2013 DRS regulations allow the top flap to open between 10mm and 50mm when activated. For 2014 this will be increase with the opening allowed to stretch from 10mm up to 65mm. 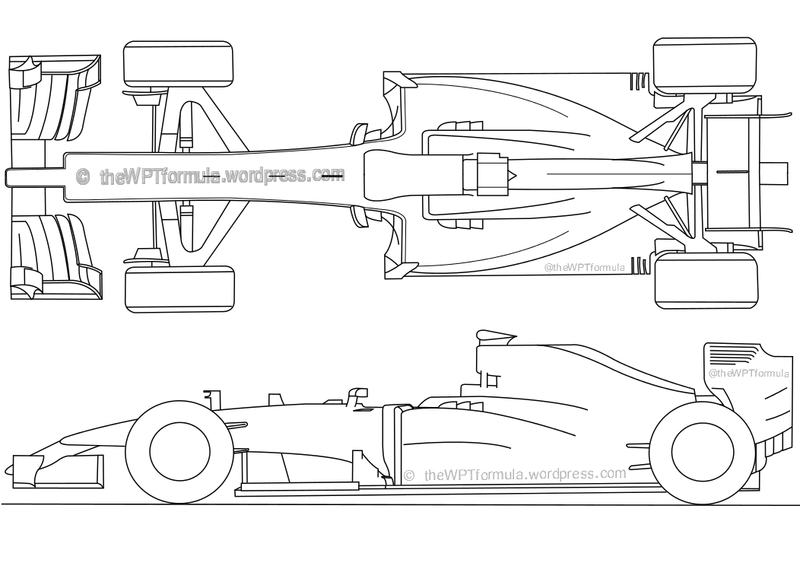 This entry was posted in 2014 Rule Changes, Analysis and tagged 2014 Rule Changes, beam wing, f1, monkey seat, rear wing, technical regulations on November 11, 2013 by thewptformula. One team engineer described the 2014 regulation changes as a “tidal wave” compared to the “ripple” that were the 2009 rule changes, and we all knew how drastically different the cars looked aesthetically and how the racing changed, too. Most of the challenge comes from developing the new “power units” – a 750bhp V6 turbo engine with additional recovery systems (recovering heat under braking and heat energy from the turbocharger) to provide a 160bhp boost for 33 seconds per lap (more on this in a later post). Aerodynamically, teams face another task of providing ample cooling to the power units while also maintaining performance, a challenge made harder by new limits being applied to the crucial elements that provide a significant amount of downforce. As 2013 developments have become scarce, I have decided to start posting 2014 articles a bit earlier than planned. Analysis: 2014 – Aerodynamics aims to look at different aerodynamic solutions for next year’s cars as a number of rule changes come in. 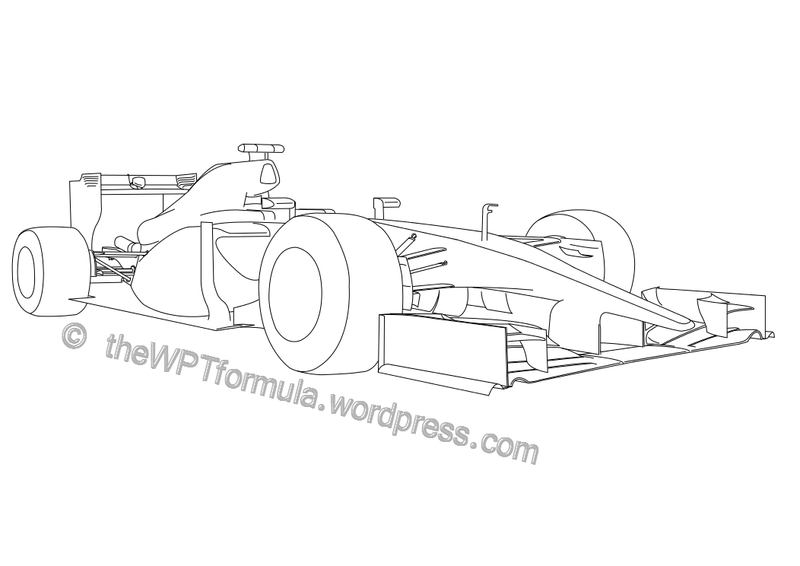 This first installment will cover the new front wing, front bulkhead/chassis and nose layout. The front wing will receive a bit of a trim next year, reducing its width from 1800mm to 1650mm – 75mm lopped off each side. 75mm is quite a substantial amount, so the engineers will have to rethink the way the airflow is managed around the front tyres. 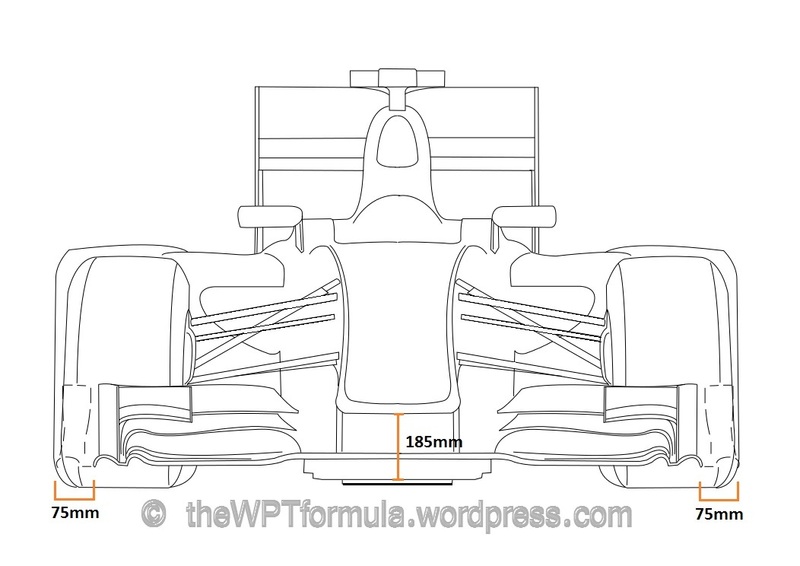 This entry was posted in 2014 Rule Changes, Analysis and tagged 2014 Rule Changes, f1, finger, front wing, nose, technical regulations on October 21, 2013 by thewptformula.